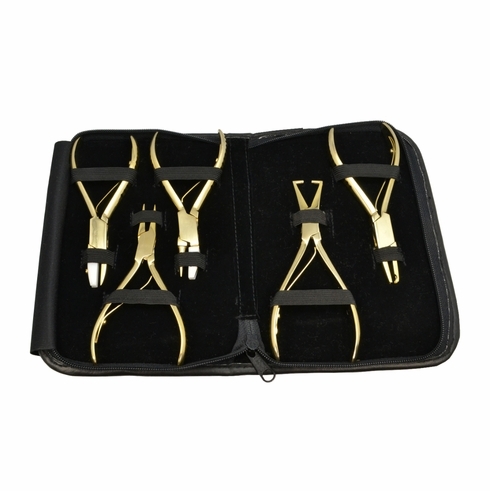 5 stainless steel adjusting pliers with gold plating. Super gift for valued employees, customers, or recent graduates. Pliers are presented in a Black Zipper Case.